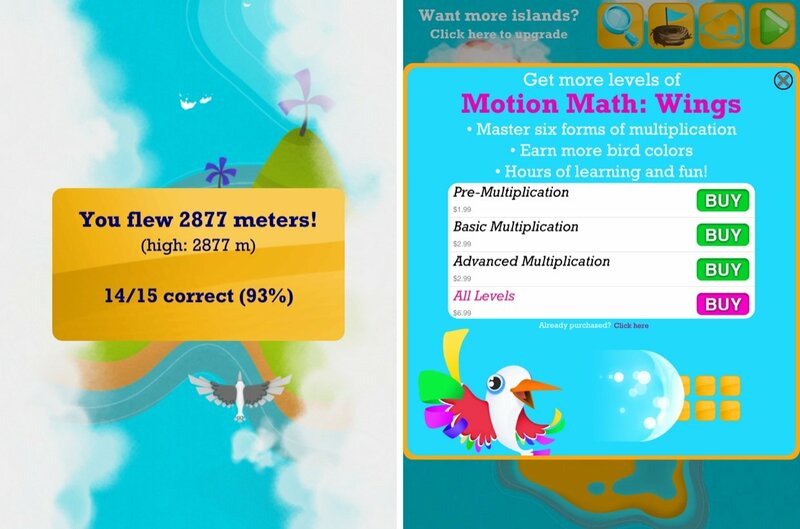 Motion Math: Wings is an iPad game with the focus of increasing conceptual understanding of multiplication. 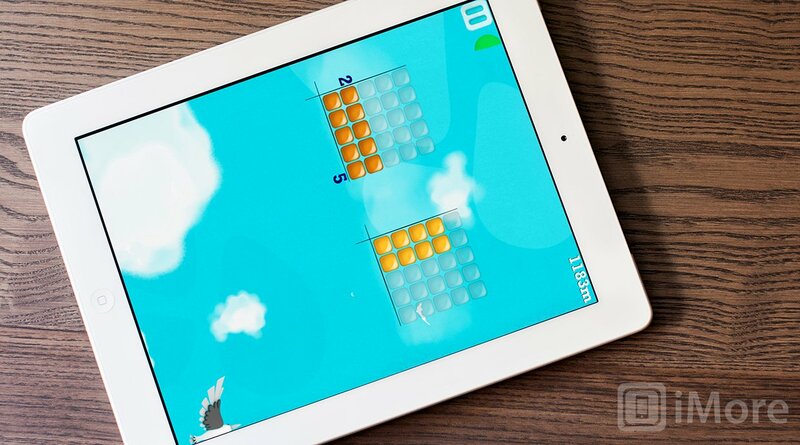 The goal is simple, tilt your iPad to guide the flying bird to the biggest number. The catch is that the number isn't typically represent by its normal written form. Sometimes the numbers are presented as a grid of dots, a group of dots, a small group of dots preceded by "2 groups of", and more. There's a total of six different visual forms that a number can take. It's your job to fly the bird into the larger number. 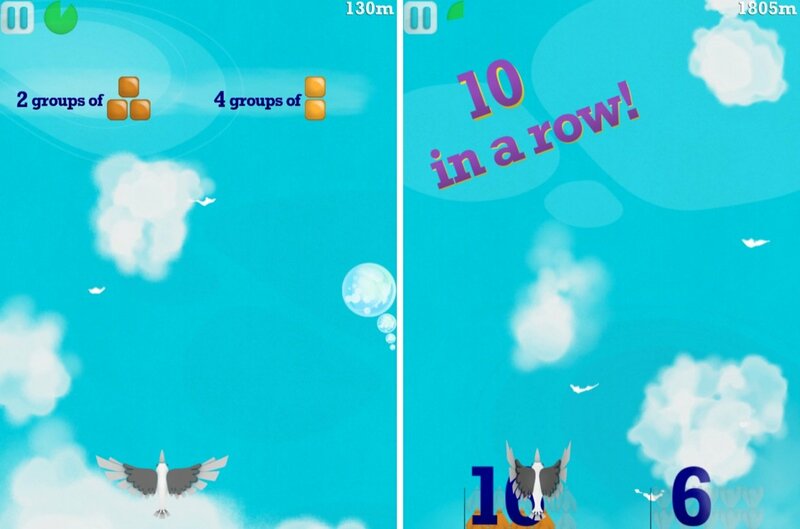 As the difficulty increases, so does the speed of the bird and the size of the numbers. As a math instructor, I can confidently say that lack of conceptual understanding is why so many people struggle with mathematics. Unfortunately, this often starts at a very young age, but games like Motion Math help fill that gap. Instead of just memorizing that four times 6 is 24, players will need to also be familiar with the many different visual forms that this operation can take. The mental exercise will absolutely have an impact on your child's understanding. Motion Math: Wings may be free to download, but it's by no means free. The free download comes with the first island of 5 different levels of difficulty. These 5 levels can be played as many times as you wish and should be enough for you to decide if you want to purchase more levels. There are three different areas of learning that you can purchase: pre-multiplcation ($1.99), basic multiplication ($2.99), and advanced multiplication ($2.99). Or you can buy all the levels for $6.99. Motion Math: Wings isn't your typical boring arithmetic game. Instead of sticking with the traditional form of numbers, Motion Math includes many different visual forms to represent numbers which will result in an increased conceptual understanding of arithmetic, versus just memorizing what the outcomes should be.